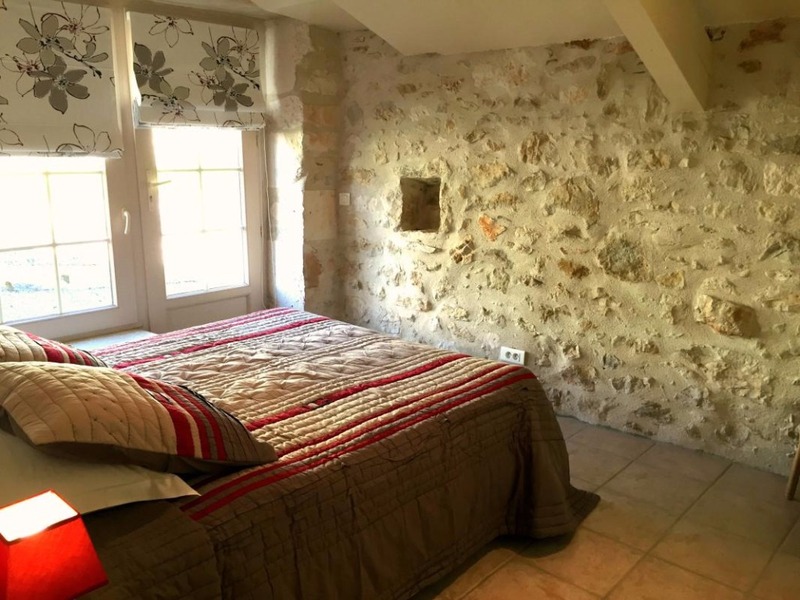 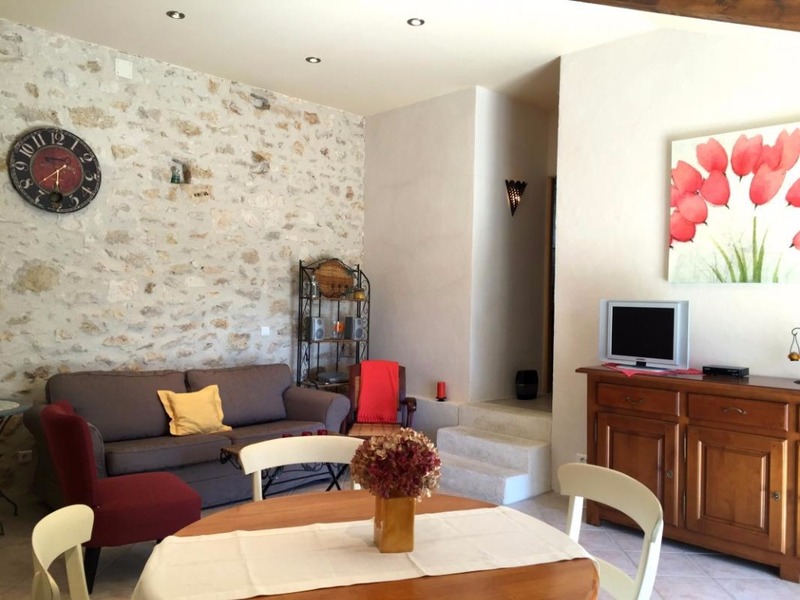 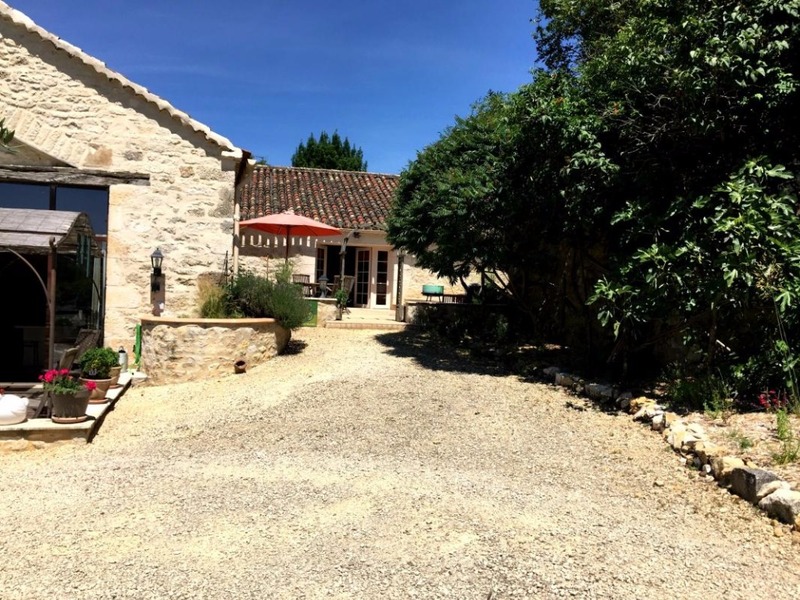 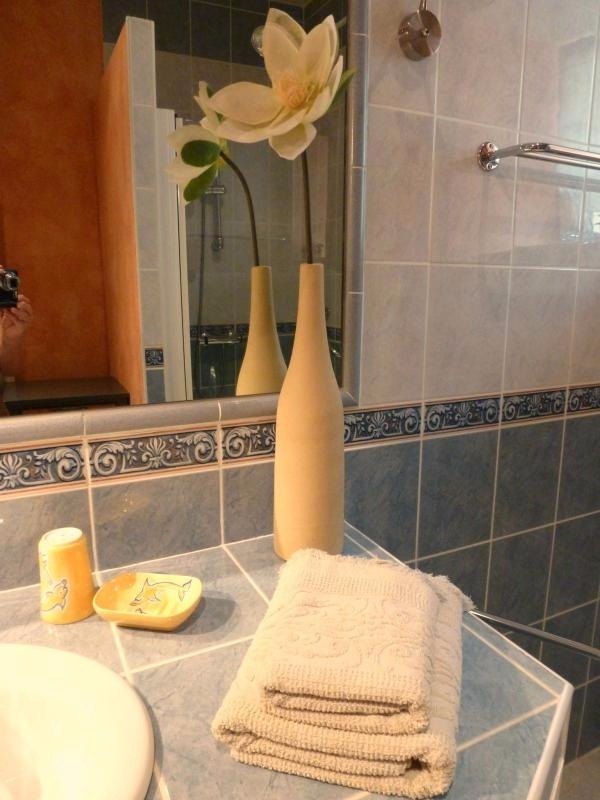 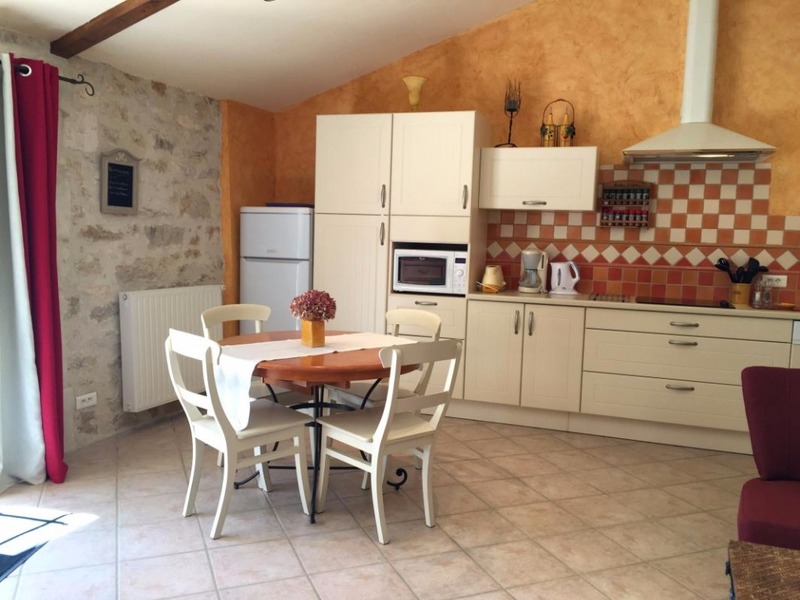 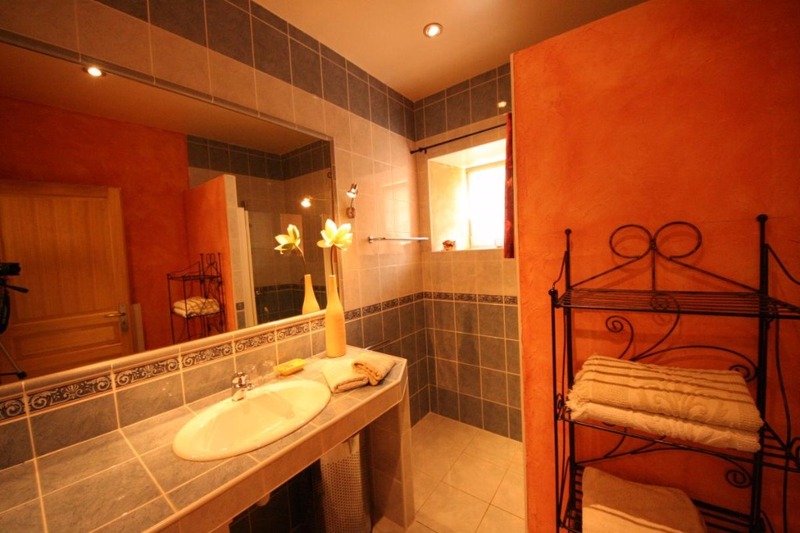 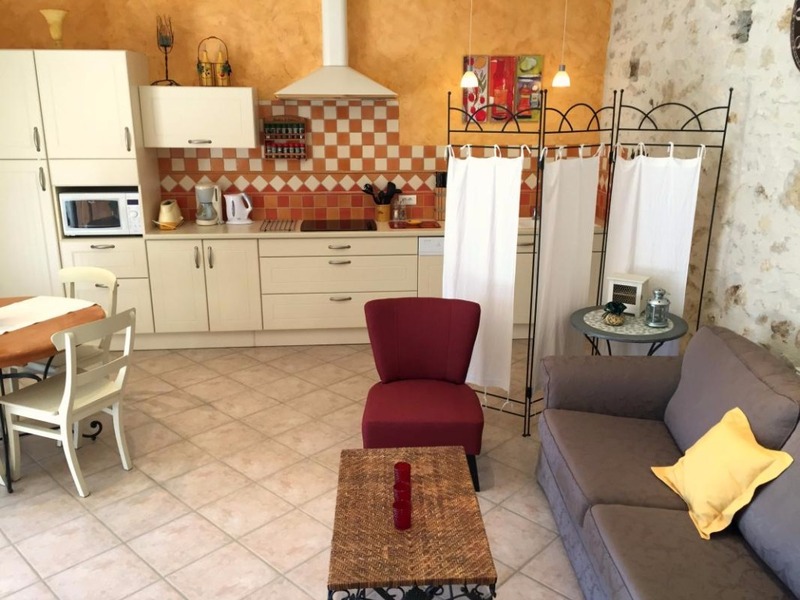 Gite adjoining the owners ' house but with privacy completely preserved ; the interior of the cottage in stone with spacious rooms will delight you just as much as the equipment and quality furniture chosen with taste. 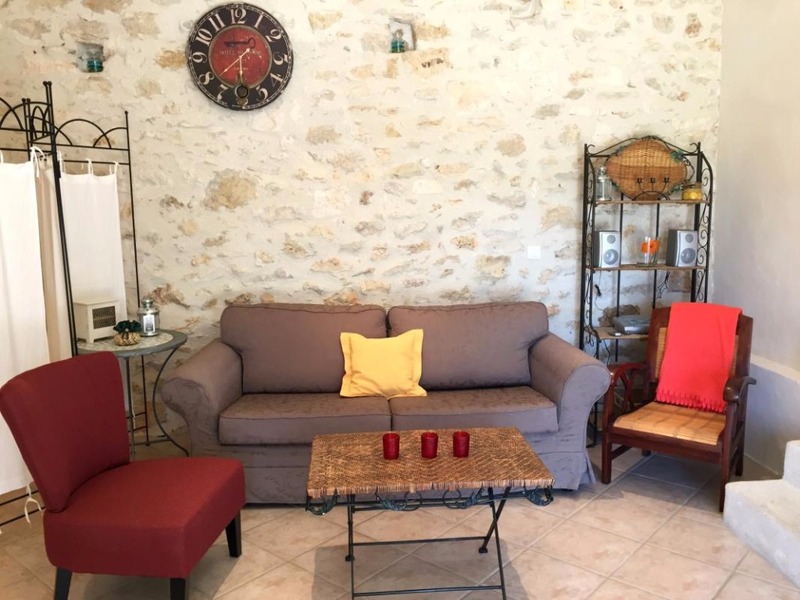 Access to the ground floor by a terrace of 16m2, overlooking a spacious living room of 35m2, sofa + chair and a built in kitchen equipped kitchen, bedroom (bed 1.60 m), shower room+wc. 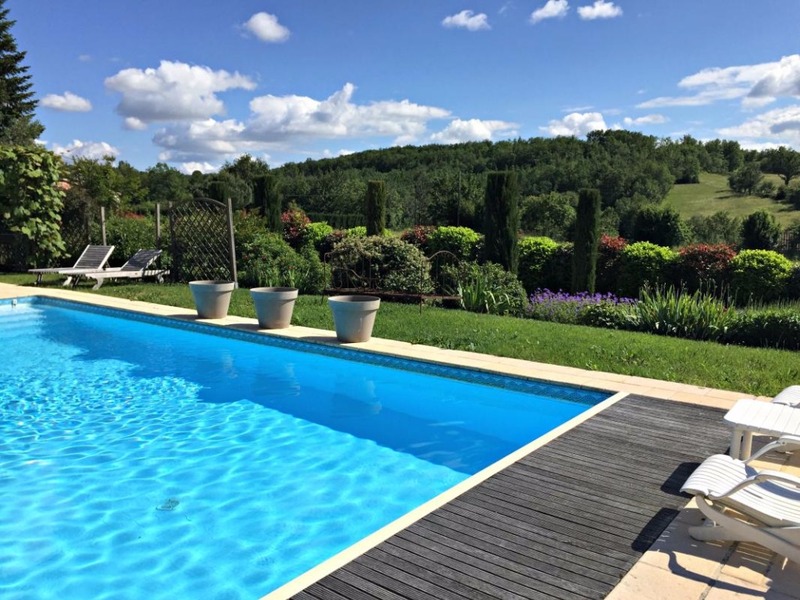 Heated swimming pool to share with the other guests of the property. 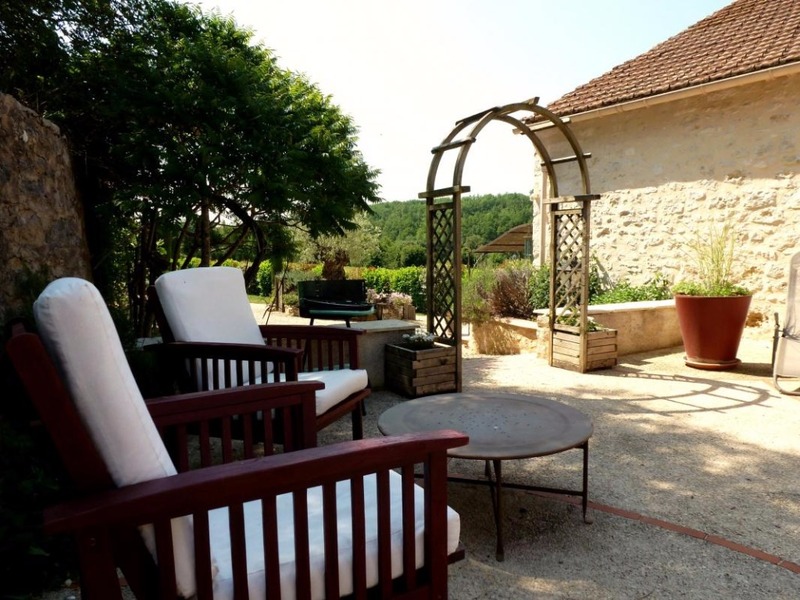 In the vineyard of Cahors, on the heights of the Lot Valley and the Vineyards, the property Side of the Barns is located at the entrance of a small village dating back to the knights Templar, where you can stay in 'Le Cantalou'. 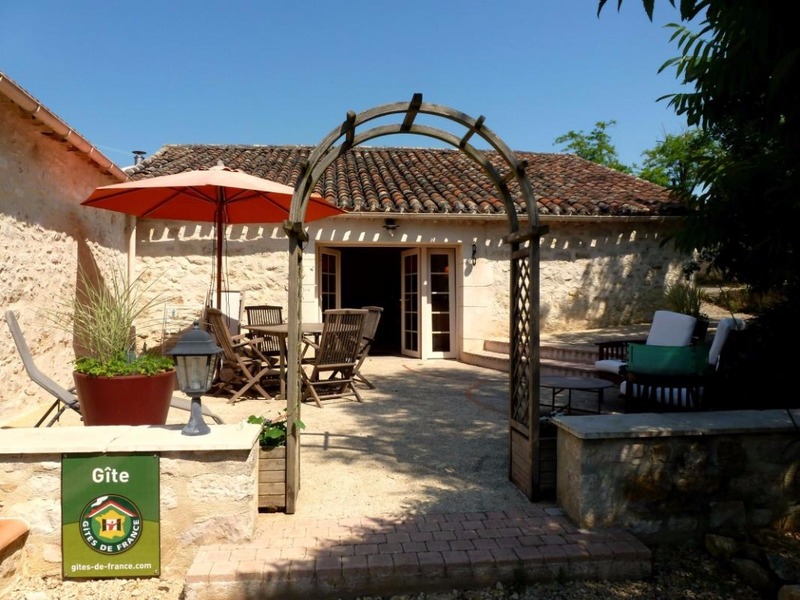 This charming cottage in stones of the country is waiting for you to spend pleasant holidays in the south west ! 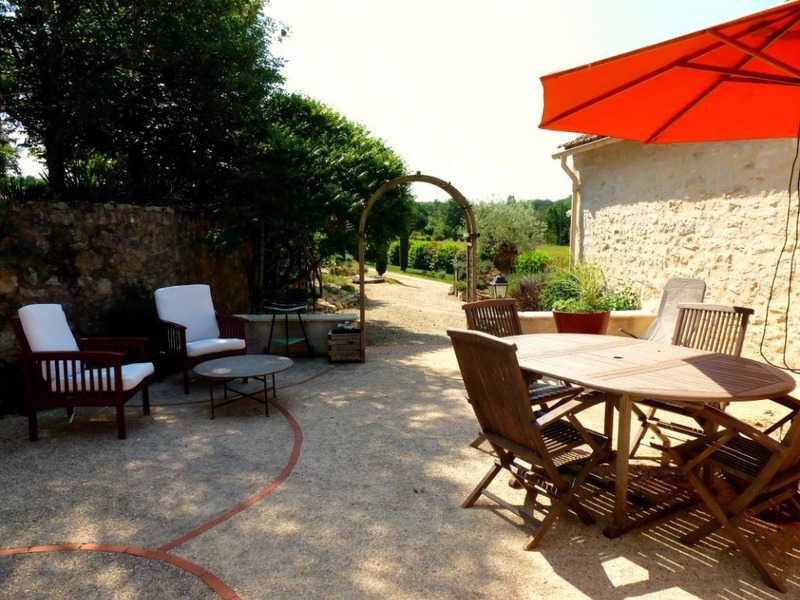 Nicely exposed to the south-east, it enjoys a sunny exposure in a great part of the day and a pleasant terrace with a view on the landscaped garden and the surrounding countryside. 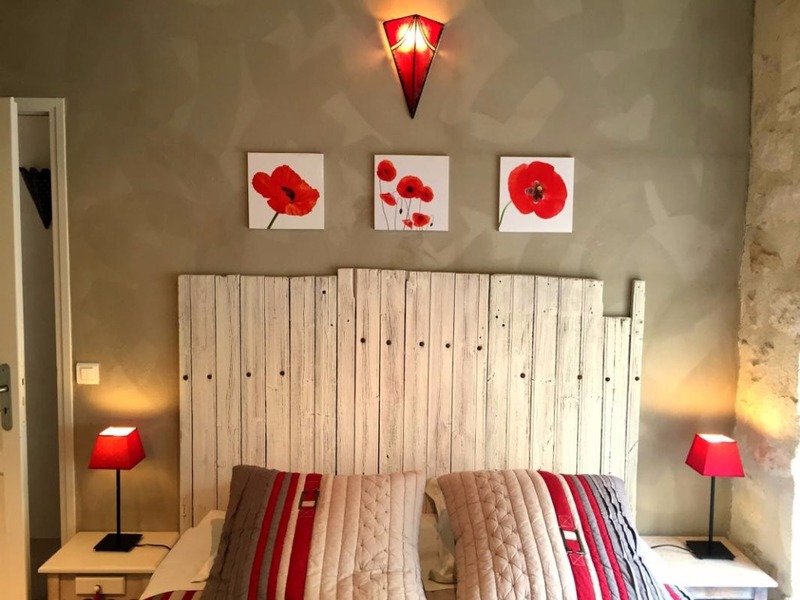 Cultivating the home as a true art of living stamped 'Spirit Lot', Martine and Emile will be keen for you to share a privileged moment of conviviality and sharing, especially around a welcome drink at your arrival ! 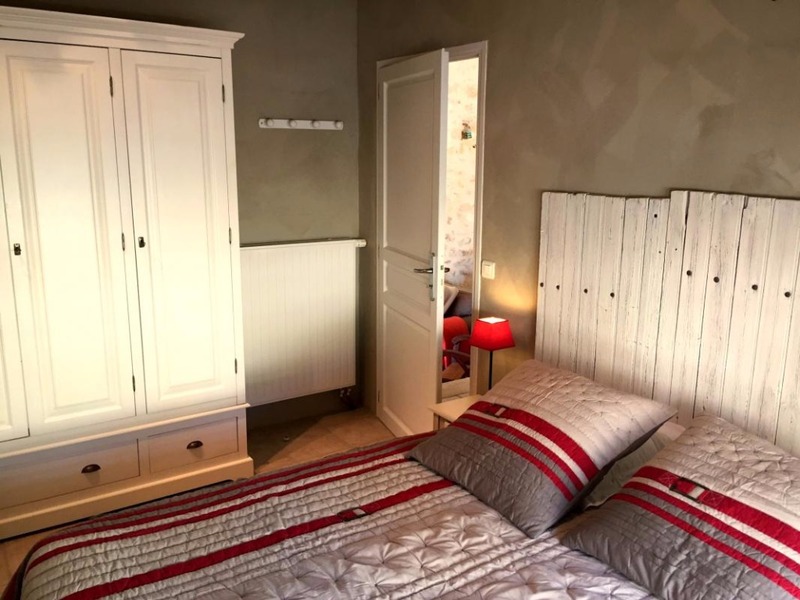 The 'more', your bed is made on arrival and towels, linens, wi-fi and access to the swimming pool are included in the delivery...your next holiday location will be at Cantalou, without any doubt ! 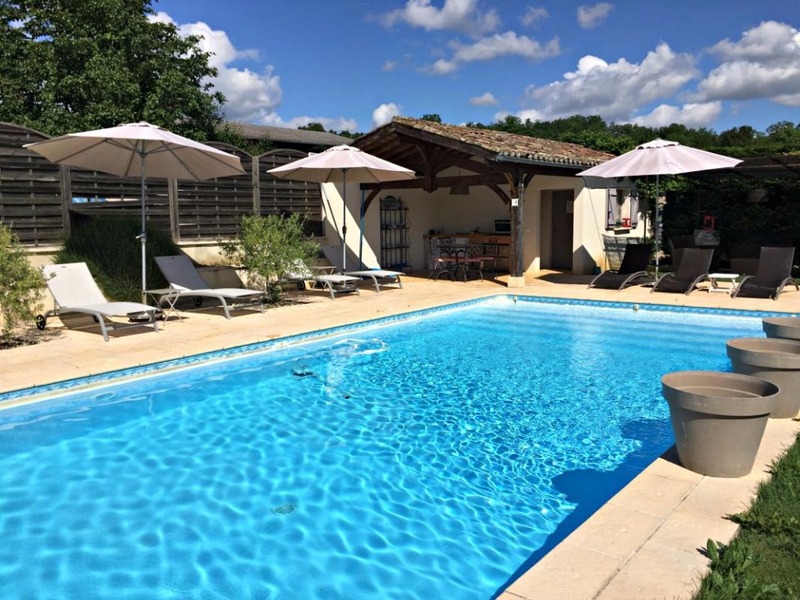 Of Sauzet, take the direction Agen, exit the village to the right. 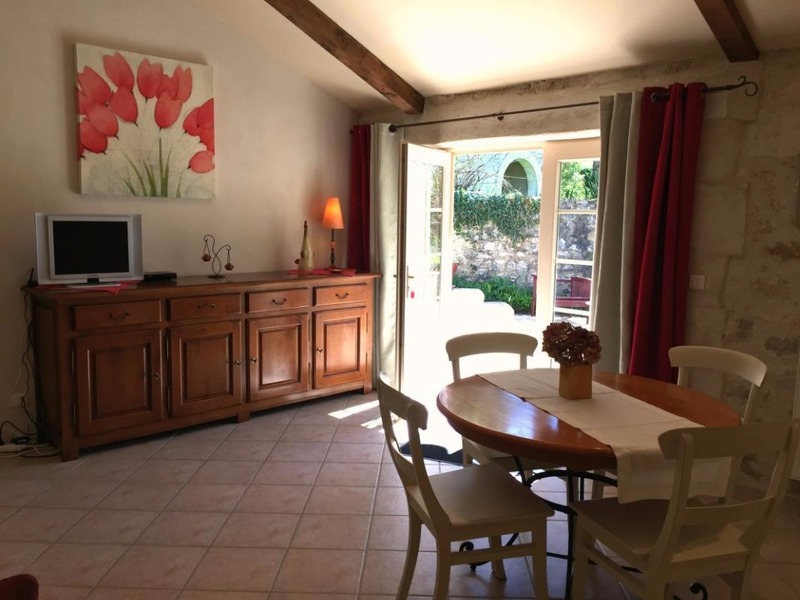 Then do 2 km, the house is located right next to the town hall of Carnac Rouffiac.